Reid Lerner earned his degree in Architecture from the College of Environmental Design at the University of California, Berkeley. Twenty years later, he was commissioned to design the interim College of Environmental Design with the Pacific Film Archive Theater at UC Berkeley. Prior to starting Reid Lerner Architects, he opened GEZ Architects & Engineers branch office in San Jose, CA to serve electronics and biotechnology clients. He opened Keller & Gannon Engineers & Architects branch office in Livermore, California to serve Lawrence Livermore National Laboratory, Lawrence Berkeley National Laboratory, and Sandia National Laboratory. Reid Lerner and his clients have won national, state, and local honorary awards for technology, design, and historic preservation. 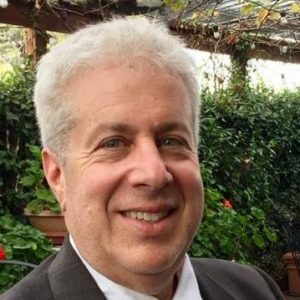 Reid Lerner has designed projects in US, Korea, Japan, PR China, Taiwan, Sao Tome, Belize, Mexico, Germany, Italy, Diego Garcia, Malaysia, and the Philippines. Besides being licensed architect and certified interior designer (CCIDC) in California, Reid Lerner is also licensed in Hawaii, New Mexico, Indiana, Idaho, Guam, and CNMI. He also has NCARB (National Council of Architectural Registration Boards) certification.